Dr. Matthews is the founder and now serves as Chairman of the Board of Habitat Assessment and Restoration Professionals (HARP). 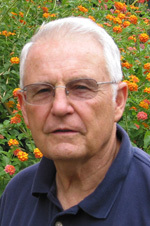 Prior to founding HARP he was professor of Biology with the University of North Carolina at Charlotte beginning in 1964. He became a full professor in 1972, and served as chairman of the Biology Department from 1994-1996. Currently, he is retired from teaching and holds the status of Professor Emeritus. Dr. Mellichamp has been a professor in the Biology Dept. at the University of North Carolina at Charlotte since 1976, and is the Director of UNC Charlotte Botanical Gardens. He is a founding partner in HARP and serves as Senior Botanist. 1976 AAS Degree, Civil Engineering Technology, CPCC, Charlotte, NC. 1993 AAS Degree, Electronic Engineering Technology, (TAC/ABET Accredited), CPCC, Charlotte, NC. 1985 B.A. Biology, University of North Carolina at Charlotte, Charlotte, NC. Mr. Soule is a key member of the HARP team. As a botanist he is proficient in the collection, identification, and preservation of plant specimens and has been the lead field technician for all of the Natural Heritage Inventories performed by HARP. As a trained surveyor, he is comfortable performing field surveys using maps, compass, transit, and chain in addition to mapping and drafting with traditional tools and Auto Cad. Mr. Soule oversees channel construction on stream restoration projects, as well as bioengineering for bank stabilization. He oversees wetland restoration and planting projects. He provides riparian buffer characterization, and maintenance and monitoring plan development for stream and wetland projects. Mr. Soule has participated in numerous Environmental Assessments, Endangered Species Surveys and Wetland Delineations for HARP. Mr. Soule is very familiar with the taxonomy and habitat of the Federally Endangered Schweinitz’s Sunflower (Helianthus schweinitzii), and Threatened Dwarf Heartleaf Ginger (Hexastylis naniflora), as well as other rare species and species of concern. Ms. Chisholm is a geologist/hydrogeologist with over 19 years experience in providing environmental consulting services. This experience includes a broad background in field, laboratory and analytical procedures used in applied geologic and environmental research. She is a licensed Professional Geologist in North Carolina, South Carolina, Virginia, Tennessee, and Georgia. University of North Carolina at Charlotte, Graduate School 18 hours, (Science), 2003. Trent University, Peterborough, ON, BS (Biology) 1999. David Campbell has worked for HARP since 2003, and has over 20 years of experience as an Ecologist and Botanist studying the biota of North America, the United Kingdom, and areas of the Neotropics. David has particular expertise in conducting surveys for rare and threatened species throughout the southeastern United States. Mrs. Blackmon joined HARP in 2006 as Operation Manger to assume the day to day responsibilities of HARP's operations. In 2007 Ms. Blackmon purchased Dr. Matthews controlling shares of stock of this employee owned business. Prior to her arrival at HARP Mrs. Blackmon was employed by a large international environmental services company where she oversaw the financial management of the southeast region and later moved on to project work as a staff engineer and scientist. Her background in contract management, financial and business management as well as environmental project work made her the perfect candidate to achieve the growth Dr. Matthews was looking for while allowing him to concentrate on field work.